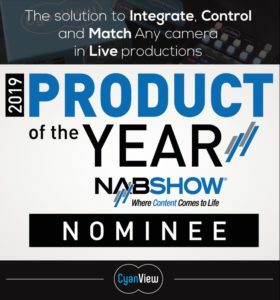 CyanView has announced that its Cy-Stem universal camera control system has been nominated in the 2019 NAB Show Product of the Year Awards (Cameras, Camera Support and Accessories). Cy-Stem is a unique solution that brings new levels of capability and flexibility to live production. Cy-Stem is designed to address a wide range of applications where advanced camera control would be desirable to deliver new creative opportunities. It is highly cost-effective and provides unique versatility and flexibility, enabling extensive creativity, accuracy and quality. The IP-based Cy-Stem range comprises a universal RCP control panel – giving control of an unlimited number of cameras – and a series of small hardware modules that address four key areas in broadcast production: control and matching of mini and specialty cameras on sports events, reality TV, game shows and so on; wireless or remote production with ENG and small camcorders; integration via the RCP of color correctors with advanced processing for camera matching; and digital cinema cameras for live recording such as concerts or game shows. CyanView is now focusing on extending Cy-Stem’s capabilities to encompass the special requirements of ENG camcorders where a system camera doesn’t fit or is over budget. Upcoming control of action cams and mirrorless cameras will be demonstrated at NAB as well. These could be combined with control of accessories such as lenses or gimbals, offering a perfect solution to control drone cameras and gimbals over 4G from both the vision desk and cameraman joystick panels in an OB van. A proof of concept has been demonstrated in which the recording of multiple GoPros is controlled, with all the files automatically returned to the server. The Cy-Stem project started as a control solution for multiple mini-cameras such as onboards on the Le Mans 24 Hour, or placed in the structures of the Ninja Warrior gameshow. 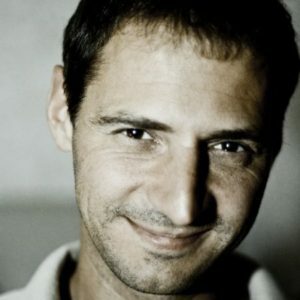 It has developed significantly since then, in response to customer requests. Cy-Stem now provides a uniquely broad range of new functionality to specialty cameras, transforming what is possible in live production. 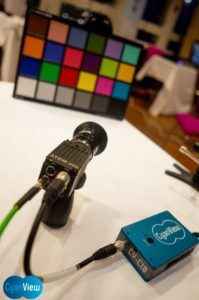 PreviousPrevious post:Bridge Technologies Showcases VB330 Probe With Unique Support For Remote PHY/L2TP at NAB2019NextNext post:How many NABs have you been to now?